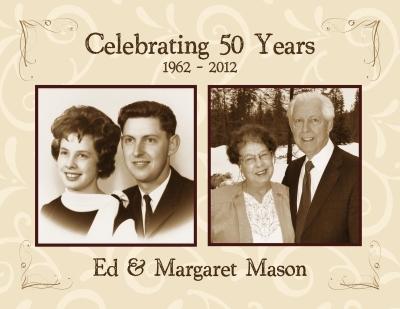 Congratulations to my dad and mom, Ed and Margaret Mason, for 50 years of marriage! That’s quite a wonderful accomplishment! On my parents’ 29th anniversary (July 19, 1991) Kevin and I were married, so today (July 19, 2012) marks the 50th anniversary of my parents’ marriage! 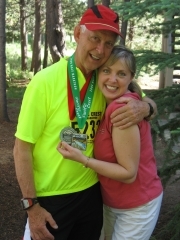 Here is their “how we met” story and some words of wisdom on how they have kept their marriage strong through all these years! 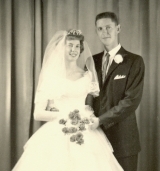 Margaret was just a young 15-year-old girl in my church congregation up in Calgary, Alberta, Canada when I first joined the LDS Church back in 1956 at the age of 19. Several years later Margaret was back in Calgary after a year at BYU, and I was just back from my three-year mission to France and other areas of Europe for The Church of Jesus Christ of Latter-day Saints. My friend Sam Longbotham and I were walking into a church youth dance late, and encountered a now grown-up Margaret just home from her freshman year at BYU. Her and her brother Dennis were leaving the dance early, as Dennis had a headache. After a passing “Hello,” I said it was too bad she was leaving or I would have danced with her. We went our separate ways…almost! Sam and I went on into the dance, but Dennis’s headache somehow got cured, and they ended up back at the dance. Having already committed myself, I asked Margaret to dance. 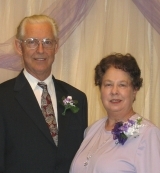 We’ve been dancing together ever since — eight kids, 24 grandkids and now 50 years later! It can probably be said that two people living in close proximity, day in and day out, just might encounter some differences and disagreements. We strive to practice being imperturbable, overlooking little things that may annoy, trying not to impose our will on each other! Believing that our relationship is more important than remembering to leave the toilet seat up, or down, or whatever allows us to be each other’s best friend. 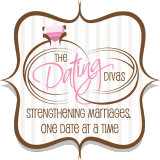 Staying close to our Heavenly Father counts for a lot in building a strong marriage as well! 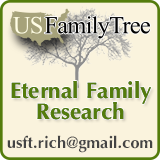 Seeing ourselves as a “forever family” helps keep us going through the tough times! Other things we do to strengthen our marriage are to hold hands while watching some of Margaret’s collection of 4000 plus classic movies. I also make it a point to give her a hug and kiss every day without fail, so she knows she’s still my best friend and I love her! We even go biking or go for a run together occasionally! 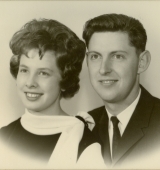 LAURA’S NOTE: I’m so proud of my cute mom and dad for keeping things together for nearly 50 years! It’s the best gift you can give your kids! Love ya Mom and Dad!